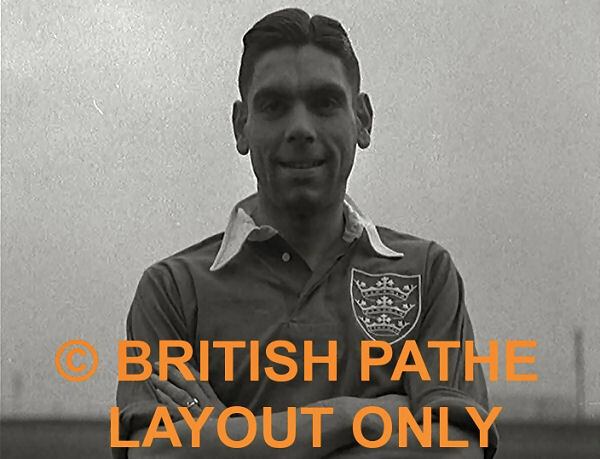 The screengrab above is taken from a delightful October 1935 British Pathé newsreel that was part of the Famous Football Teams In Training series. 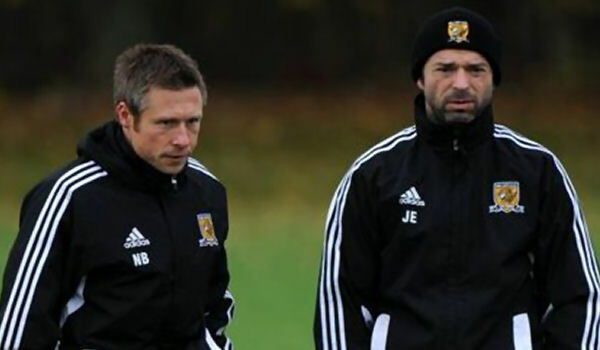 It showed manager (and former England captain) J.G. Hill taking training at the Anlaby Road Ground ahead of the 1935-36 Division Two campaign. From a City kit point of view, the clip is fascinating as it shows the Tigers wearing the new ultramarine blue and white kit worn for just one season before the familiar amber and black striped shirts worn in each of our 26 league seasons to date returned. Despite the clip’s narrator talking up City’s chances for the new season, The Tigers finished rock bottom of Division Two, amassing just 20 points in 42 games with a record of 5 wins, 10 draws and 27 defeats. As a result, City were relegated to Division Three (North). The reason for the kit switch is a mystery, but if the club was going to radically change it’s colour scheme, it made sense that ultramarine blue be the hue chosen. Why? 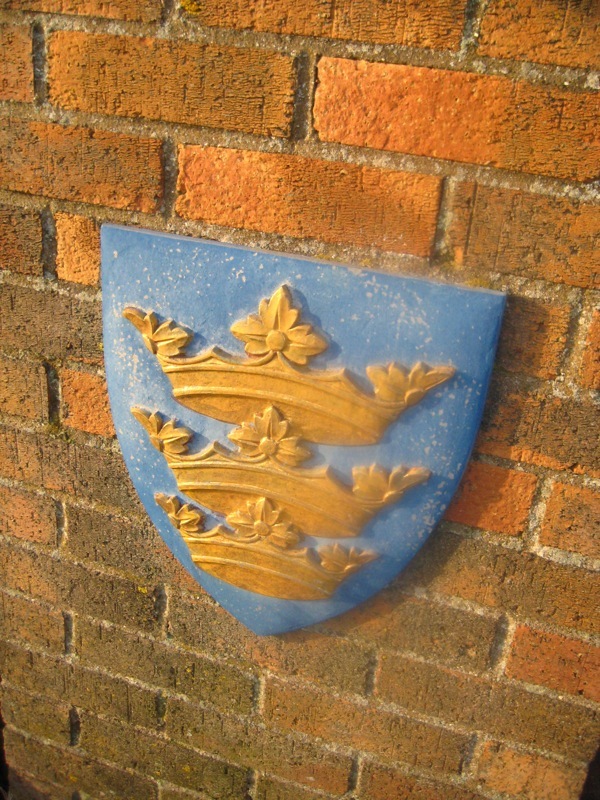 Well, for a start blue is main civic colour of Hull, the city’s coat of arms consists of three pale or (gold) coronets on an azure (blue) field. Azure blue is also known as ultramarine (literally ‘beyond the sea’) and Hull firm Reckitts were the leading manufacturer of ultramarine pigments in the world, so blue dye was easy to obtain. The blue jerseys had a white foldover collar attached to a blue placket, they also featured the first chest insignias used on City shirts. 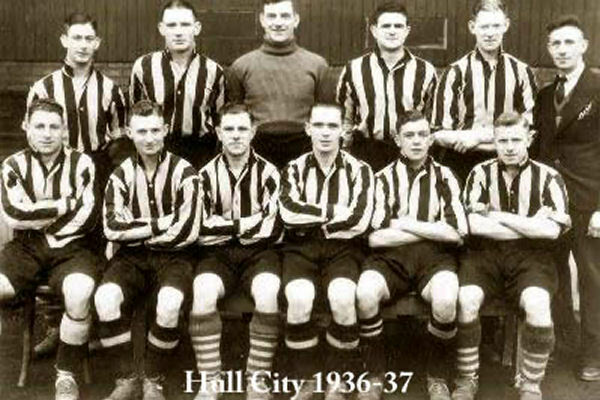 The emaciated tiger head that adorned the shirts worn by Raich Carter through to Stuart Pearson wasn’t used though, that didn’t appear on a City kit until 1947, instead the city of Hull’s stacked coronets within a shield device was used. There were no short sleeved versions, players simply rolled up the sleeves if they so desired, hiding the white cuffs at sleeves’ end. The baggy white shorts were quite long, but were worn so high on the waist that they still didn’t cover the knees. Completing the kit were hooped ‘stockings’ with a plain foldover band which looked superb. Horizontal stripes had featured on City socks before this, but only as trim on the foldover band, this was the first time the body of the sock was hooped on a home kit. 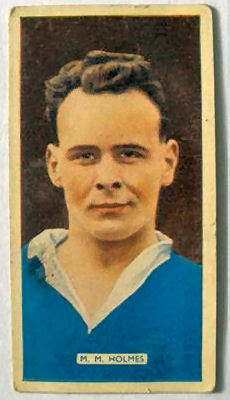 A 1936 Carrera Cigarettes trading card, part of the Famous Footballers series, shows Maxey Martin Holmes in a blue shirt. The images on the cards were not from colour photos though, rather black and white photographs that had been colourised. That means the shade of blue used on the card may not be entirely accurate, the shirt design depicted certainly isn’t, the card shows a totally white collar, placket and all, whereas the shirt City wore had only the lapel in white. 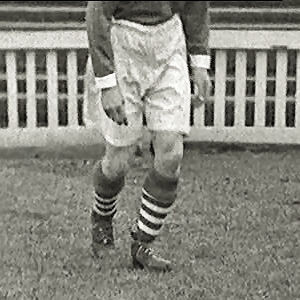 It is possible that the image was based on a photograph taken when Holmes was at Grimsby, he joined City from the Mariners in May 1935, and that the blue ink covered a black and white striped shirt. Then again, whoever colourised the photograph might simply have made an error, rendering the full collar white instead of just the lapels. The Tigers returned to tigerish black and amber for the 1936-37 Division Three (North) season, wearing the striped shirts used before the switch to blue but with black shorts rather than white (as were used in 1934-35). In the team photograph for 1936-37, several players appear to be wearing the blue and white hooped socks with black and amber shirts and shorts (seen below). After a return to our regular colours, they were used in league competition until 1939 when the Football League shut down because of World War 2. It is likely that City remained in black and amber for games played during wartime, but when league operations resumed in 1946, blue was used once more by City. New owner Harold Needler planned to rebrand the club Kingston upon Hull AFC and wanted them to wear orange, white and royal blue, but his plans were thwarted by post-war austerity measures and thankfully the name change did not occur. Still, The Tigers began life at Boothferry Park dressed not in black and amber, but blue and white (the programmes used during 1946/47 though, depicted a player wearing Needler’s preferred scheme of orange, white and blue). Were the 1935-36 shirts reused ten years later? 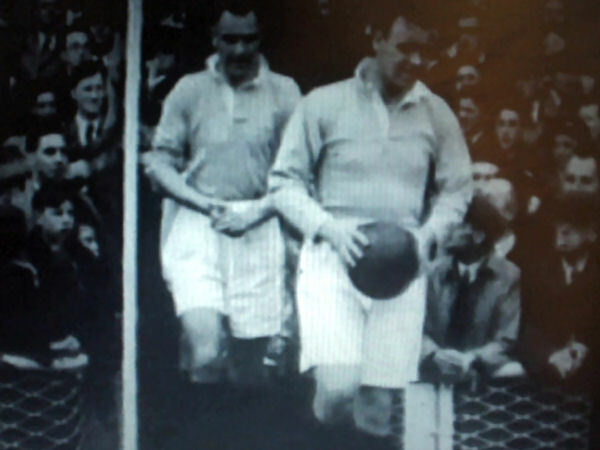 It doesn’t look like it, the civic crest was not present, and looking at a screengrab of City players emerging from the Boothferry Park tunnel, the placket layer with the buttons on is white and the post war jersey appears to be a lighter blue than was used in 1935 (though that could be because of lighting or camera equipment differences). The socks used were definitely different, instead of blue and white hoops, stockings of a dark, solid tone (navy blue? black?) were worn for the 0-0 draw with Lincoln. Both instances of blue shirt use lasted just one season, and we haven’t used that hue as a first choice kit since, though City did wear blue at home as an emergency measure during our 2004-05 centenary year when Bradford turned up for a televised game with only their black shirts with white shorts and socks away kit. We could have loaned Bradford our away kit, though it was rumoured that Peter Taylor didn’t want to see Dean Windass, a Bradford player at the time, wearing a City shirt so elected to have both sides wear away kits instead. Regardless of that explanations veracity, the Tigers turned out in pale blue shirts and socks with black shorts for a 1-0 defeat. JGHull: I love it. Anyone describing it as a ‘kitastrophe’ is wrong. Even the sponsors logo looks alright! I’m a white away kit man but you can’t deny this kit is a gem. The standard black shorts were always going to cause an issue at some point due to the opposition kits we’re due to encounter as the season progresses. Knowing this helps understand that these shorts were designed to be worn with this kit – it’s not a case of John Eyre making it up as he goes along. I’m not 100% sold on the trim on the thigh which finishes the brand stripes short but I think the look overall is a really, really smart one. Having said that, I do understand the concerns of the Twitterati. How many playing kits have we actually got? Two variants of the home kit (short variants), two variants of the away kit (again, short variants) and two variants of the third kit (guess what? short variants). The key thing though is that the variants are all thought about and considered. It’s not the case of playing in home shorts with a third shirt and the training socks due to some administrative balls up, but evidence of Kitstodian Eyre caring sufficiently to ensure that City’s attire is as smart as possible. SombreEthyl: When the black away kit was released one of my first thoughts was ‘two pairs of black shorts’, and thinking about the teams in the Championship with black or navy shorts, I had a feeling we’d see a black-amber-black combination at some point. I wasn’t expecting us to use different amber shorts to those worn with the home shirt in pre-season though. I like the look, I like that we can wear an away kit but still have our main colours on show, and this ensemble puts more of our main colour on display. Its a far stronger look than Argentina blue and white would have been. I can understand people voicing disapproval at first, it’s natural to initially dislike something unfamiliar and it isn’t a look we’ve ever seen before, but I think it’ll grow on people if used again an Sheffield Wednesday is a probable, though we could go all amber. I’d rather see this combination, I’ve grown to love it, it reminds me of a look Borussia Dortmund sometimes sport away from home. I don’t like mixing and matching kit for the sake of it, but this was necessary because of the home team’s shorts so its all good. Kitman John Eyre opted against using the third kit at Doncaster last night, instead pairing the new black away shirt with alternate amber shorts for the League Cup tie at the Keepmoat Stadium. 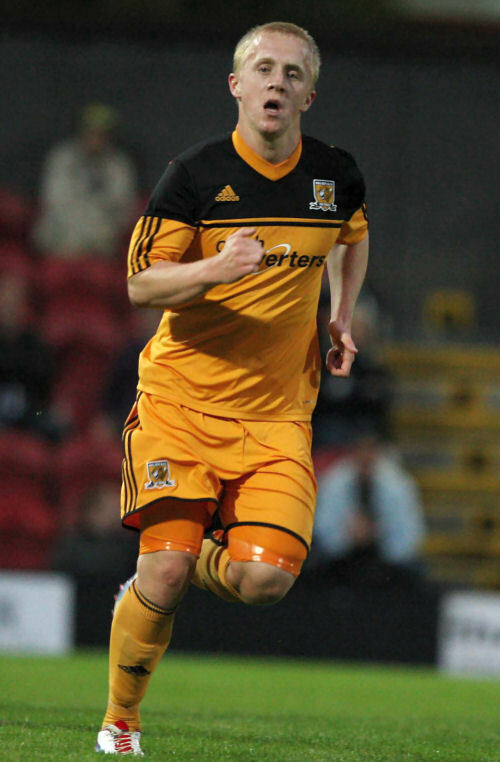 Donny’s black shorts ruled out both the home or away shorts (both are black), giving Eyre three choices; The home shirt with amber shorts (as worn in pre-season), last season’s away kit of Argentina blue shirts and white shorts which serves as third kit in 2012/13, or as was worn the black away shirt with amber shorts. This was a second consecutive use of the away shirt which made it’s match debut at Charlton on Saturday. Interestingly, the away shirt comes with a set of amber shorts distinct from those designed to work with the home shirt, so adidas have supplied two sets of alternate shorts in amber, as well as two sets of black shorts. The combination of black shirts, amber shorts and black socks is a flip of the home kit colours, and creates an intriguing but unfamiliar look, one we may see again. Sheffield Wednesday pair black shorts with blue and white stripes shirts, so the blue 3rd shirt isn’t really an option. 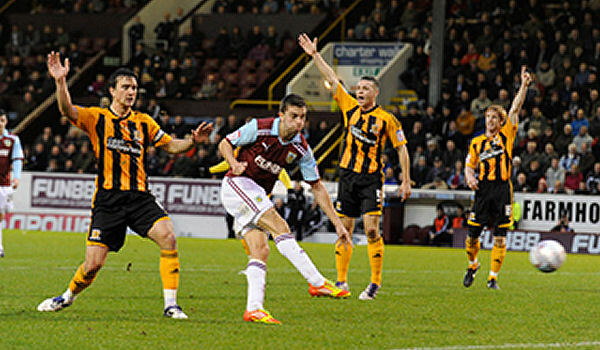 Whether we go with the home set or the away set on October 6th, we’re likely to wear amber shorts at Hillsbrough. Other opportunities for alternate short usage comes in December (Watford/Derby) and February (Bolton). Tell us what you think of last night’s look. 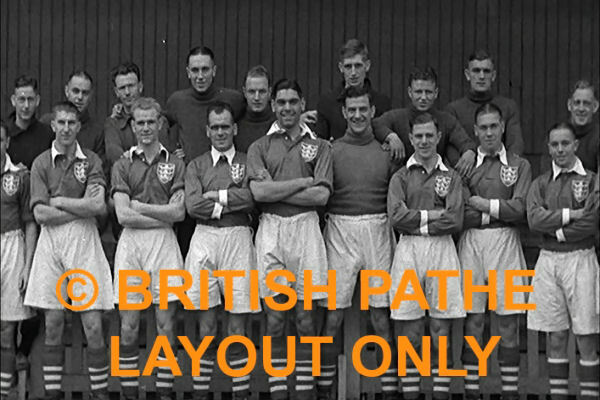 Since Boston United switched from blue and white to amber and black in 1951, City and The Pilgrims have shared a colour scheme. At the turn of this century, the sharing went a step further, with the two teams sharing the same fabric for kit elements despite arrangements with different and unrelated sportswear brands. 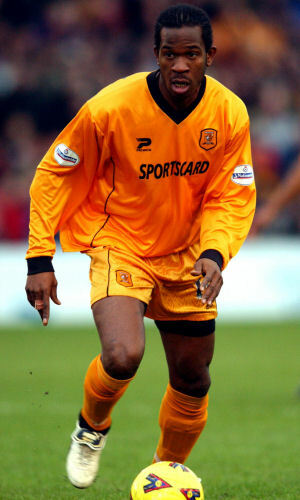 After an unseemly incident at Darlington in October 2001 that led to City borrowing the home side’s away shorts (and Darlo players changing shirts mid-game on the pitch), The Tigers commisioned some alternate amber shorts that could be worn with the plain amber shirts and socks in away games when the home side wore dark shorts. 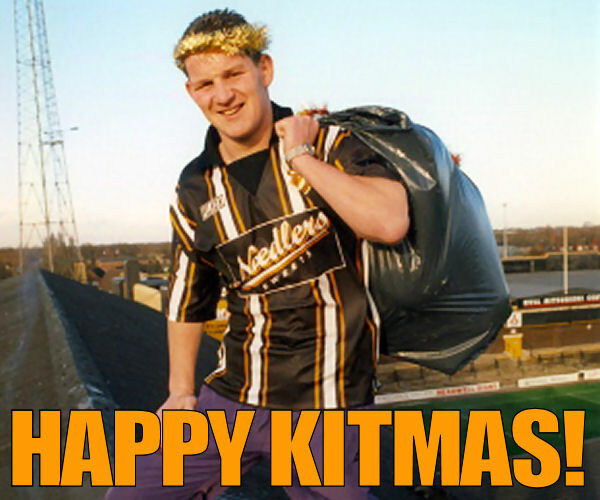 The amber shorts were soon pressed into action and were used twice in November 2001, first in a 2-1 defeat at Lincoln and then in a 1-0 win at Luton. Whereas City’s plain amber 2001/2002 home shirts featured a ribbed, needlecord weave, close inspection of the alternate shorts shows a shadow pattern of chevrons in diamonds woven throughout. This diamond pattern was used on Boston’s home shirt from, 1999/2000, a shirt ‘made’ by Belper based sportswear firm Paulas Benara. In reality the shirts were made in East Yorkshire by Dewhirsts Sportswear Ltd. of Driffield (who have a factory on Amsterdam Road, Sutton Fields in Hull) as were City’s kits despite the Patrick branding. Though City’s alternate shorts carry the French sportswear firms stylised P logo, they’re undoubtedly made from the same fabric as Boston’s Paulas Benara branded amber shirts, meaning our alternate shorts were quite literally cut from the same cloth as Boston’s shirts. Last season City used amber shorts with the home shirt on six occasions; at Derby, Southampton, Coventry, Crystal Palace and Portsmouth and once at home, donning the alternates when Southampton foolishly brought only black shorts with them. 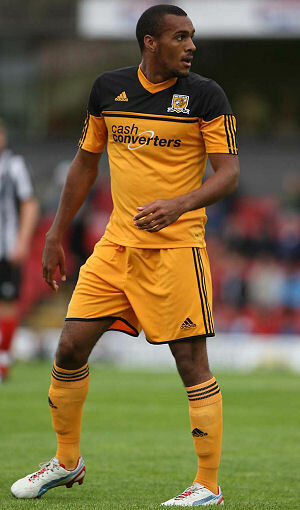 Amber alternates will be part of the 2012/13 ensemble too, and will work equally well with the black away shirts (please hurry up and unveil the away kit City!) as the largely amber primary shirts. The new alternate shorts were given a debut in last weeks friendly at Blundell Park, a 0-0 draw with Grimsby who wore their traditional get-up of black and white striped shirts, black shorts and red socks, hence the need for City to go with amber shorts. The block of black at the top of the home shirts provides enough contrast for the amber shorts to not look make the whole kit look washed out, but not so much contrast the amber components appear to be different shades. We’re a fan of amber shorts being used away when the home side use black shorts and our away shirt wouldn’t really work (such as at Derby) but it is disappointing that these don’t look sufficiently different to last years shorts. Mark Cullen was one of several players at Grimsby wearing undershorts that if used are supposed to match the shorts worn over them, but they were a bit too orangey to be truly described as matching. Kitman John Eyre said he is hopeful of getting undershirts that match the amber of the home shirts far more than last years yellow undershirts, but these orange undergarments don’t fill us with faith that they will. Saying that, the rule about undershirts is they must match the main colour of the sleeve, and it is arguable that they’re mostly black, in which case black undershirts could be used, Robert Koren got away with it at Winterton, even using thumb-holes for true ‘thumbing nose at authority’ effect. Back in December, we ran a feature on the surprisingly numerous occasions when City have had to borrow bits of another teams kit in order to avoid a clash. We’re always scouring for old City photos so as to build a complete picture of what the Tigers have worn down the years, and recently we aquired two images that help us take a step nearer that goal. These photos, though depicting kit anomolies, don’t explicitly show City wearing another teams kit however, instead they show the Tigers wearing shorts without any team markings in one, and lending another team some of our apparel in another. The first image from 1990/91 shows Dave Bamber rounding Plymouth’s keeper for City’s only goal in a 4-1 Barclay’s League Second Division defeat in October 1990. Paired with our regular Matchwinner home shirt and socks are some white short shorts that the eagle-eyed will notice carry the Umbro double diamond. Plymouth had worn Umbro kit the year before though, and the Pilgrims page on Historical Football Kits shows that they wore white shorts with a green double diamond yet no Plymouth badge in 1989/90. The Umbro mark looks black on the above photo, so although the shorts were probably old Plymouth stock, it’s hard to state that was the case with certainty. The second picture is a bit more cut and dried. It shows Delroy Facey celebrating his goal in the 3-0 win over Luton Town at the KC Stadium during our 2004/05 Coca-Cola League One promotion campaign. It also shows a dejected looking Luton goalkeeper, Slovenian Dino Seremet, wearing a borrowed City keeper jersey. Boaz Myhill, in nets for The Tigers that day wore grey, so presumably The Hatters kitman brought only a grey keeper top, necessitating the loan of a green Diadora jersey that didn’t even carry the Coca-Cola League competition patches. In both of these cases the side lending some kit suffered defeat, so maybe the “he that goes a borrowing goes a sorrowing” proverb rings true. By our reckoning, City hadn’t worn amber shorts for a home league match since 1965 until last night, when League leaders Southampton arrived at the KC Stadium with only their black primary shorts. 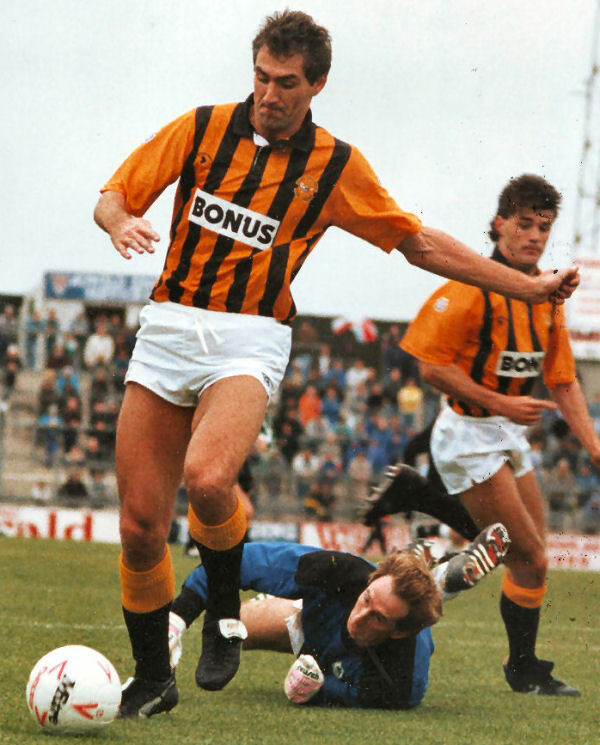 Rather than make the Saints wear a set of our shorts, City deferred and wore the amber alternates with the regular black socks for the 2-0 defeat. 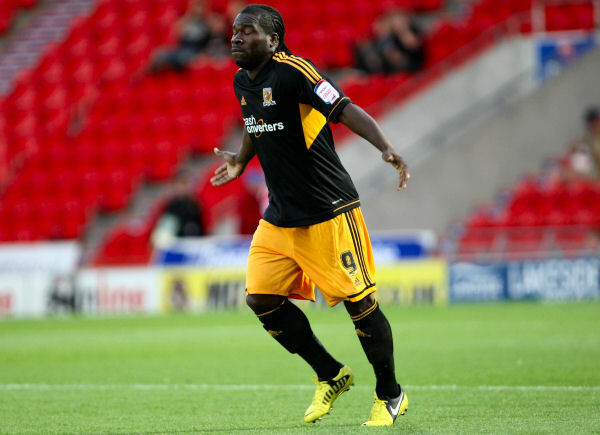 It created an odd look, perhaps we should have gone with the amber alternate socks too, but the kit inventory is not stored at the KC Stadium, rather at the Millhouse Woods Lane training complex and bused in for each game, so it is understandable that during a quick dash to Cottingham only the alternate shorts were collected. 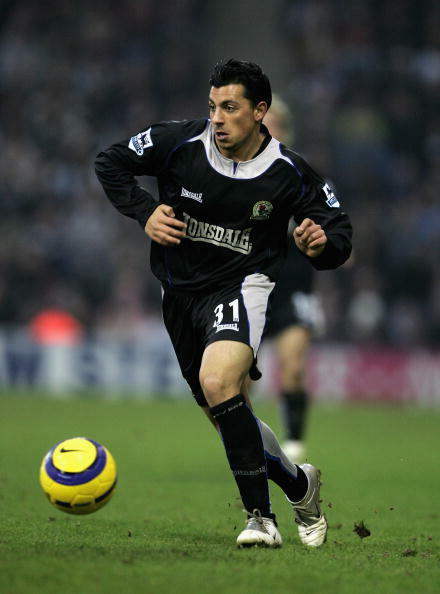 City have previous when it comes to choosing to change themselves rather than lend a visiting opponent some kit, back in August 2004 Bradford tipped up with only black shirts with amber trim, so City wore the sky blue away shirts and socks with black shorts. 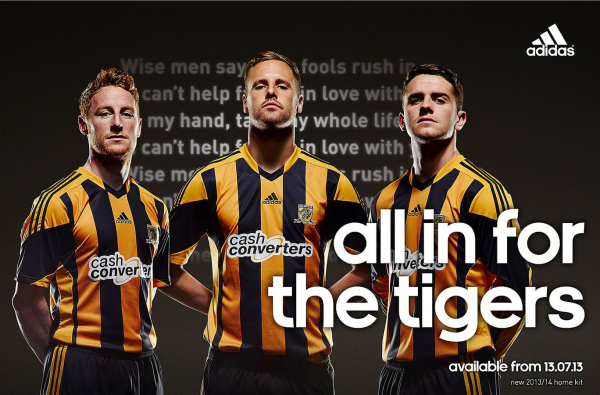 The Tigers lost that game too, maybe we should force the opponent to wear some of our kit after all. As well as wearing the amber shorts twice in a season against Southampton (having used them in the game at St. Mary’s in November) City have now worn them in back to back games, as they were used with the amber socks in the 0-0 draw at Crystal Palace on Saturday. Strictly speaking, there was no need for City to break out the amber shorts and socks at the Ricoh Arena on Saturday, as the regular black shorts and socks don’t clash with Coventry’s sky blue. Still, we like them a lot, so it was good to see them regardless. Péter Gulácsi wore the all white keeper kit in the 1-0 away win, as Murphy, the Sky Blue’s keeper, wore a green jersey.